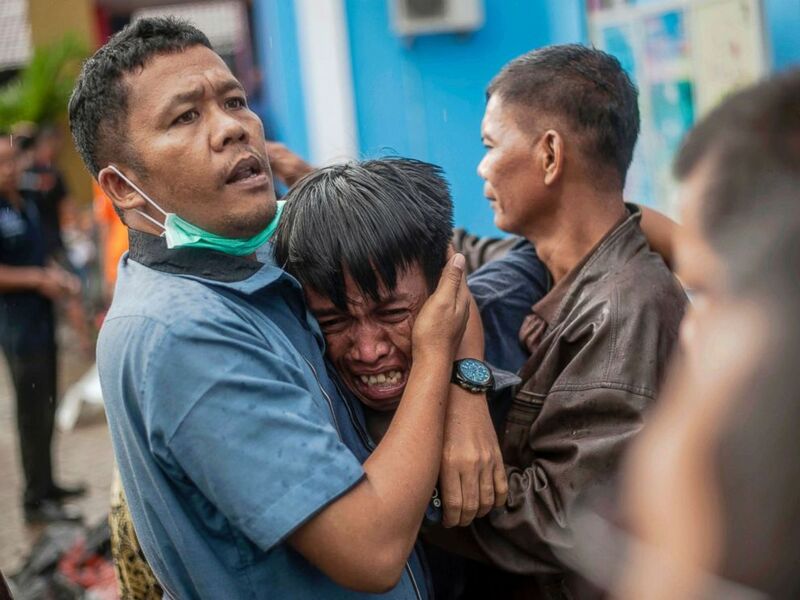 A man reacts after identifying his relative among the bodies of tsunami victims in Carita, Indonesia, Dec. 23, 2018. 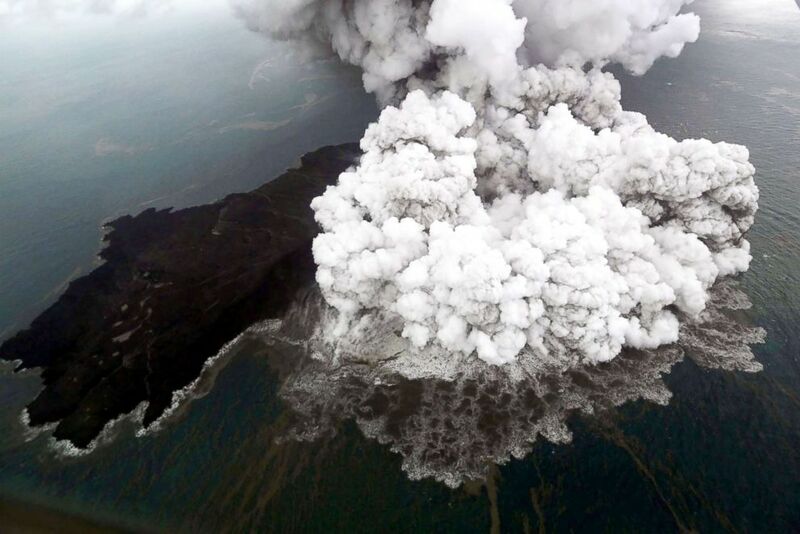 An aerial view is captured of Anak Krakatau volcano during an eruption at Sunda strait in South Lampung, Indonesia, in this photo taken by Antara Foto, Dec. 23, 2018. 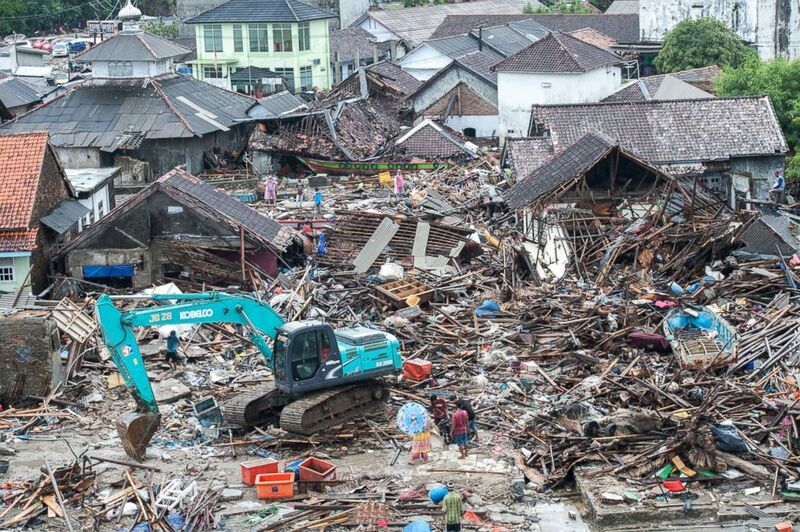 Locals clean debris at Sumur district of Pandeglang, Banten Province, in Indonesia, Dec. 24, 2018. 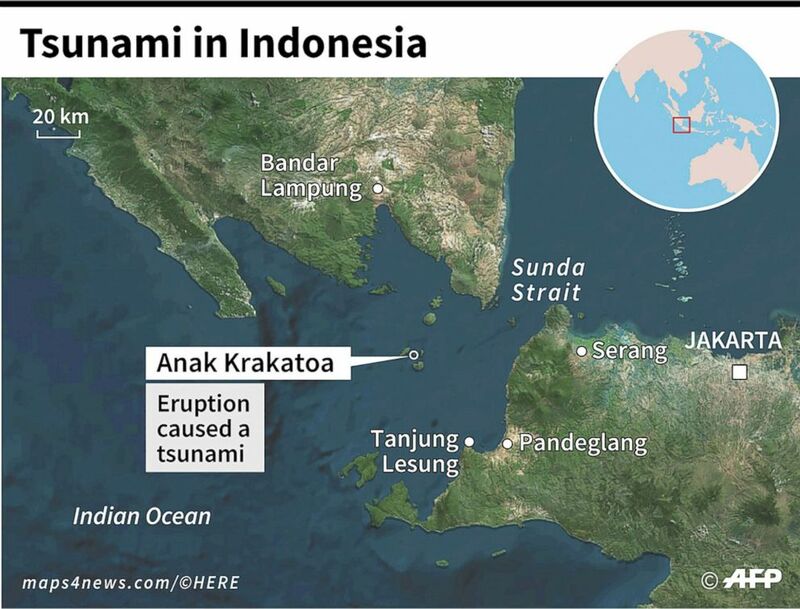 Map locating the Anak Krakatoa volcano and the zone hit by a tsunami in Indonesia. Residents, who lived at coast of Bandar Lampung, rest at a government building after they evacuated following a tsunami that hit Sunda strait in Lampung, Indonesia, in this Dec. 24, 2018, photo. 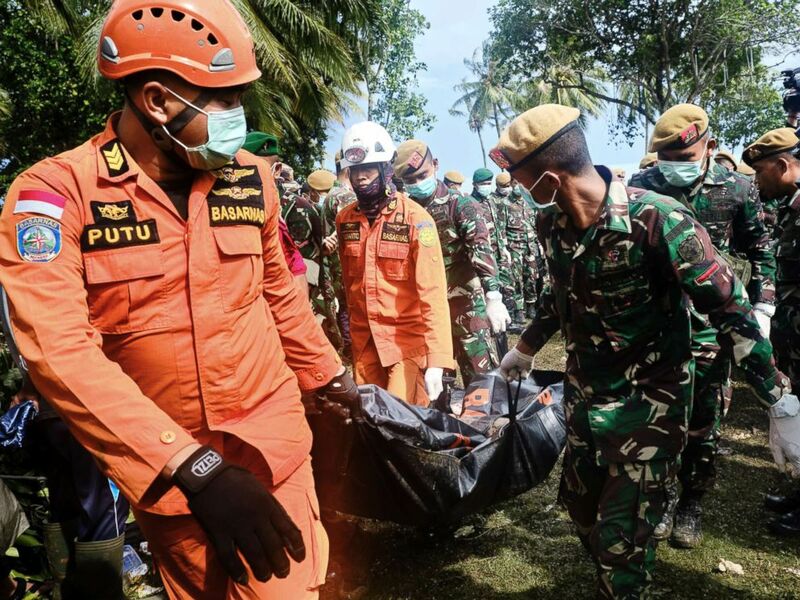 Rescue workers recover the body of a victim of the tsunami during a search at a resort hotel on in Tanjung Lesung, Indonesia, Dec. 24, 2018. 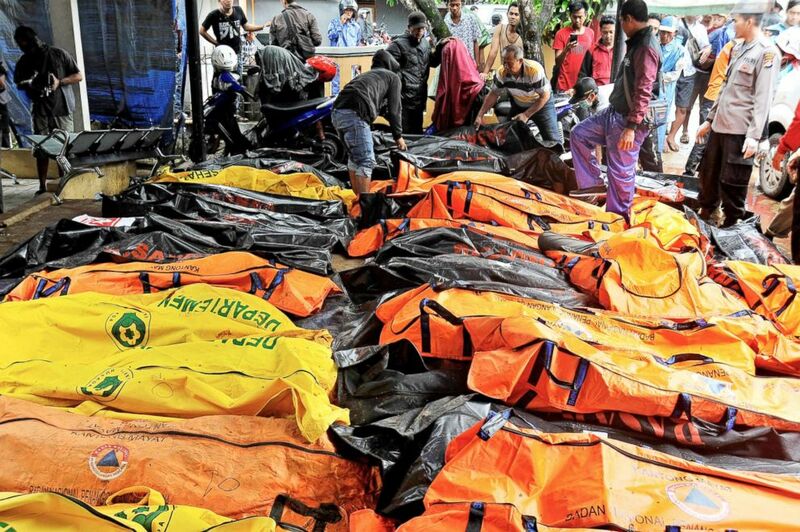 Bodies of tsunami victims are collected at a local health facility after a tsunami hit Carita in Pandeglang, Banten province, Indonesia, Dec. 23, 2018. 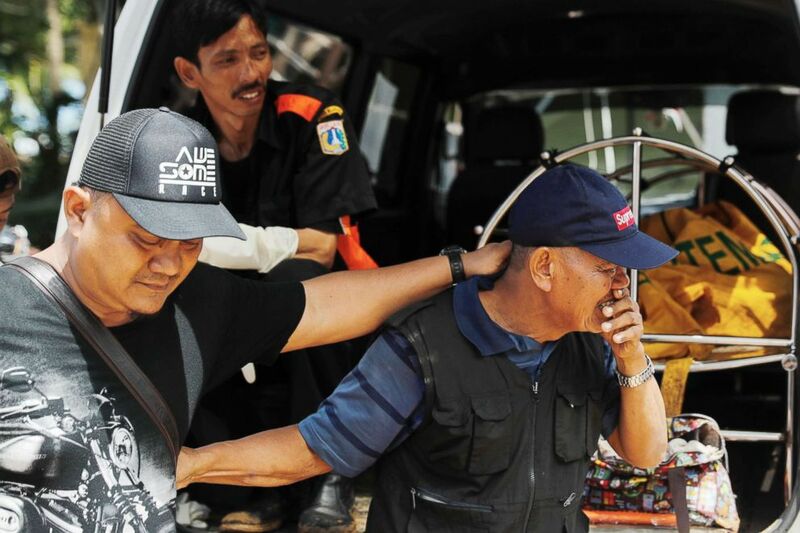 A man reacts after identifying a relative during a rescue operation at the beach front hotel, which was hit by a tsunami in Pandeglang, Banten province, Indonesia, Dec. 24, 2018. 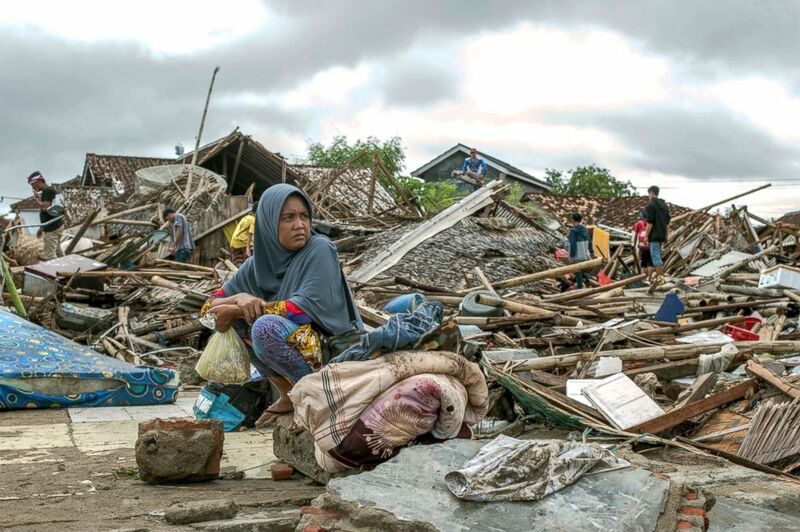 A tsunami survivor sits on a piece of debris as she salvages items from the location of her house in Sumur, Indonesia, Dec. 24, 2018. 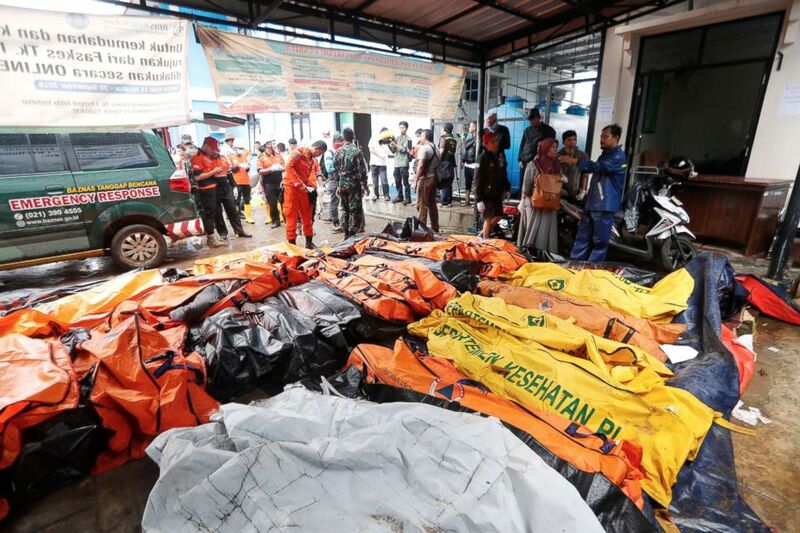 The bodies of tsunami victims are collected at a health facility after a tsunami hit the Sunda Strait in Pandeglang, Banten, Indonesia, Dec. 23, 2018.